The Sony A7RII (ILCE-7RM2) camera is a compact mirrorless camera with a 42 megapixel full frame sensor. The absence of a mirror in the Sony E mount design permits a flange to sensor distance of 18mm which is well below that of the Leica M (27.80mm), Canon EF (44mm) and Nikon F (46.50mm) mounts and allows adapters to be built to enable the use of lenses with other mounts. A vast variety of lenses can therefore be used with this camera system and some adapters even permit autofocusing. 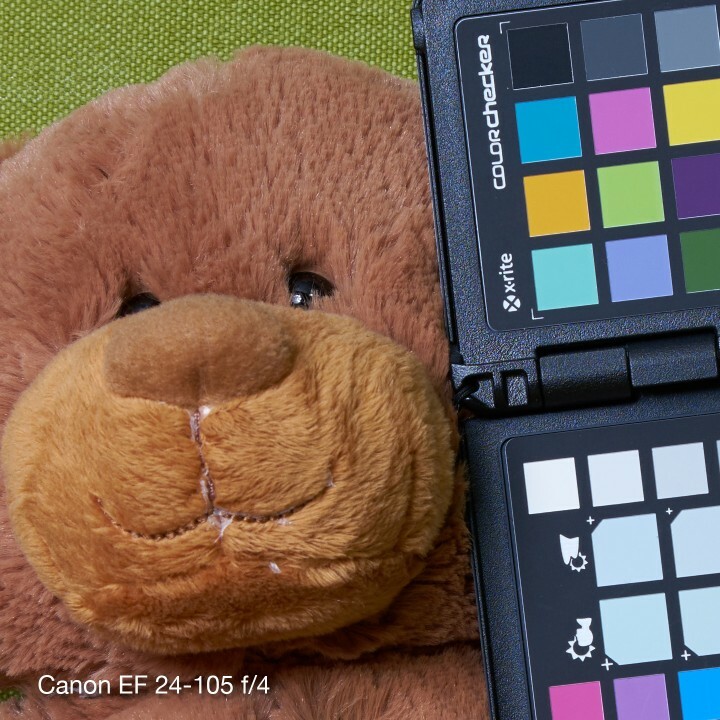 The sensor’s high resolution does, however, place quality demands on the lenses used if detailed images are desired. 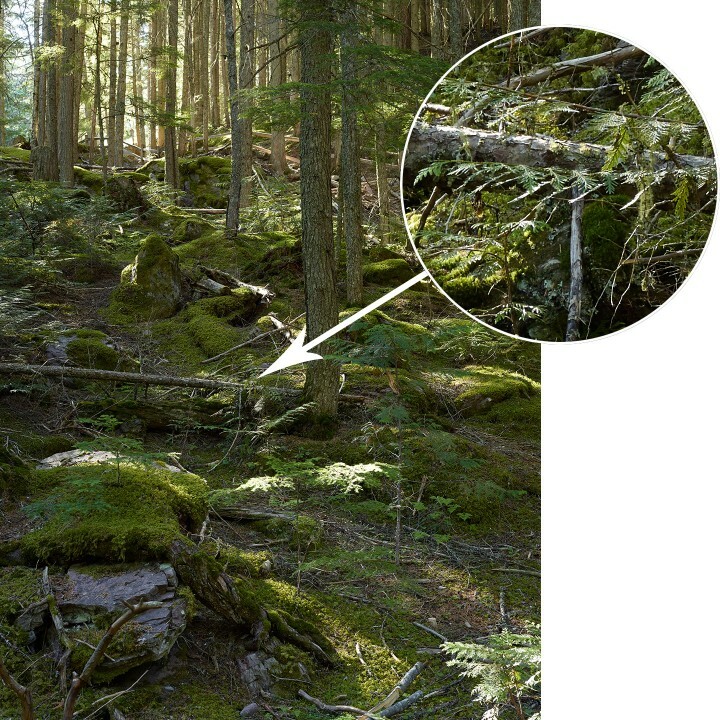 There isn’t much point in having a high resolution sensor if the glass you put in front of it is of inferior quality and gives you soft images lacking detail. I shoot with a Phase One medium format camera and the amount of detail in an 80 megapixel image shot with a Schneider 80mm LS lens is astounding. The Sony A7RII is substantially smaller than the Phase One gear and has approximately half the resolution and I was curious to see how the results would compare to what can be achieved using medium format gear. I was somewhat disappointed by the softness of the A7RII images when used with the Sony FE 24-70 F/4 lens so I decided to do a more formal test with other lenses I had available. The Leica Summicron 50mm was mounted on the A7RII with a Voigtländer VM adapter II and the Canon lenses were mounted using the Metabones Canon EF to E Mount T Adapter IV. 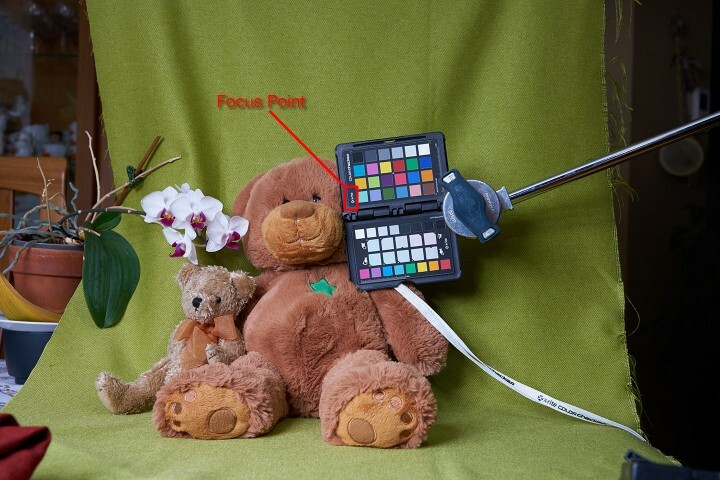 The A7RII was mounted on a tripod and tethered to a MacBook Pro running Capture One Pro and each zoom lens was set to the 50mm focal length and manually focused on the circle and x·rite text of the X-Rite Color Checker using Live View zoomed into its highest magnification level. The scene was illuminated with a Broncolor Move 1200L pack and changes to the lens aperture were compensated for by increasing the flash power. 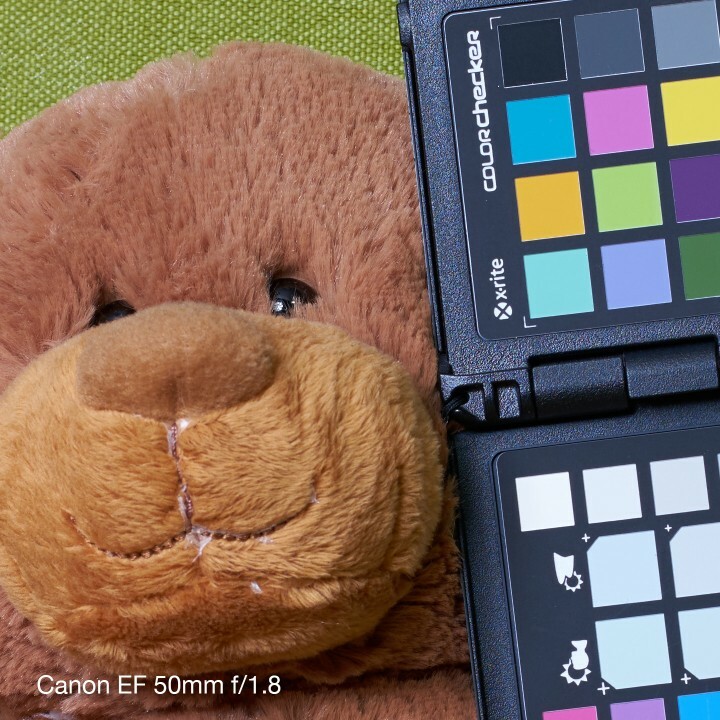 All tests were performed at the 50mm focal length so that accurate comparisons could be made. The following are 100% crops of the center of the image. Each of these images is from the f/8 exposure on that lens. I picked f/8 as that aperture generally is relatively sharp on most lenses. The images have only the default Capture One Pro settings applied and no additional sharpening or adjustments were made. 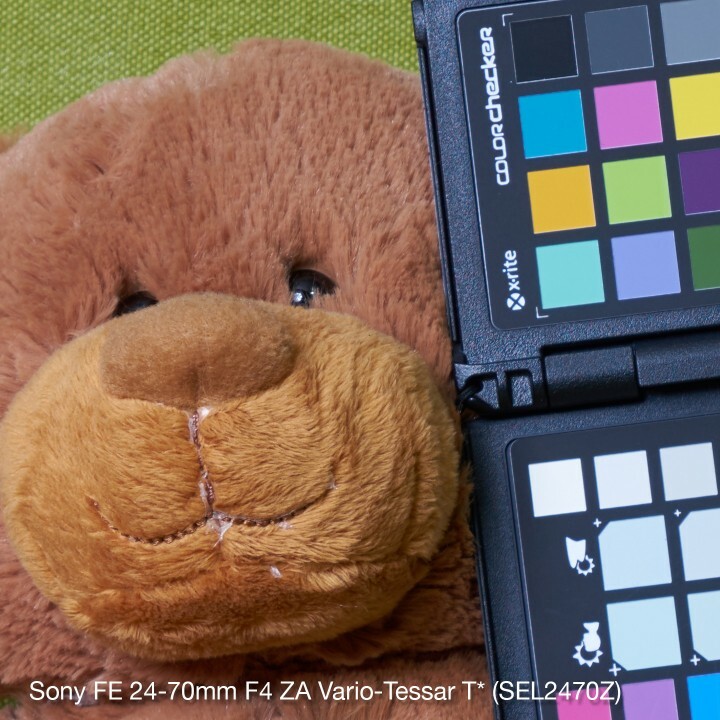 The Sony FE 24-70 f/4 performance is very disappointing as can been seen in the area around the focus point, in the fur of the bear, and in light of it being a Zeiss branded lens. At first I thought it was perhaps that the lens I was testing was a bad copy. 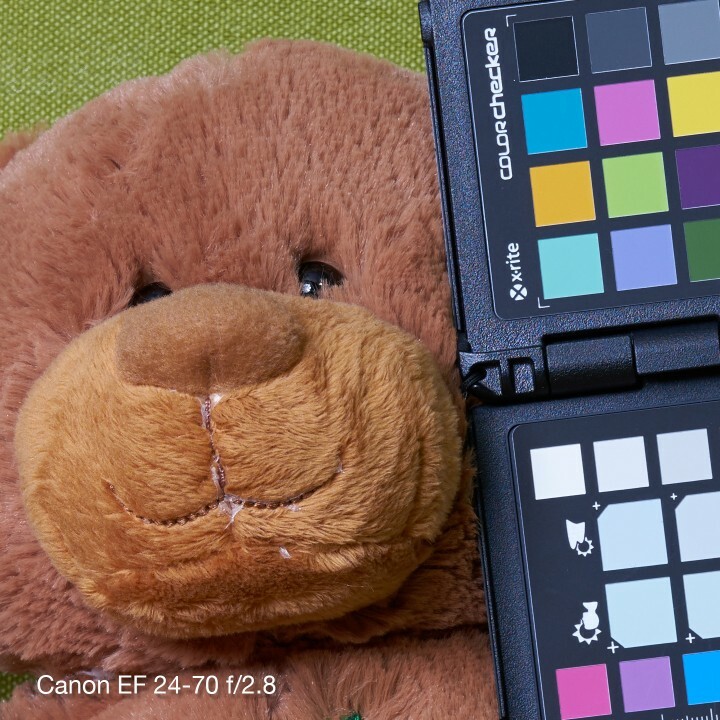 I repeated the test with a second FE 24-70 f/4 lens and the results were just as poor, so I suspect this is simply a poor lens design or that there are production problems. I have reported this issue to Sony Canada and they have looked into it, but it has been several months now and I haven’t been informed about what they intend to do to remedy the situation. 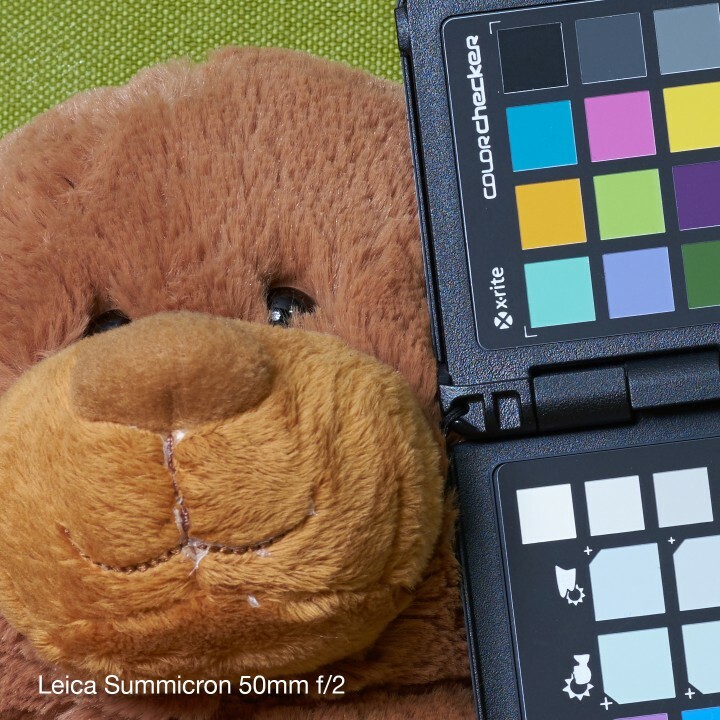 The Leica and Canon lenses all perform much better. The following links can be used to download the ARW format RAW files for those than want to do further comparisons.